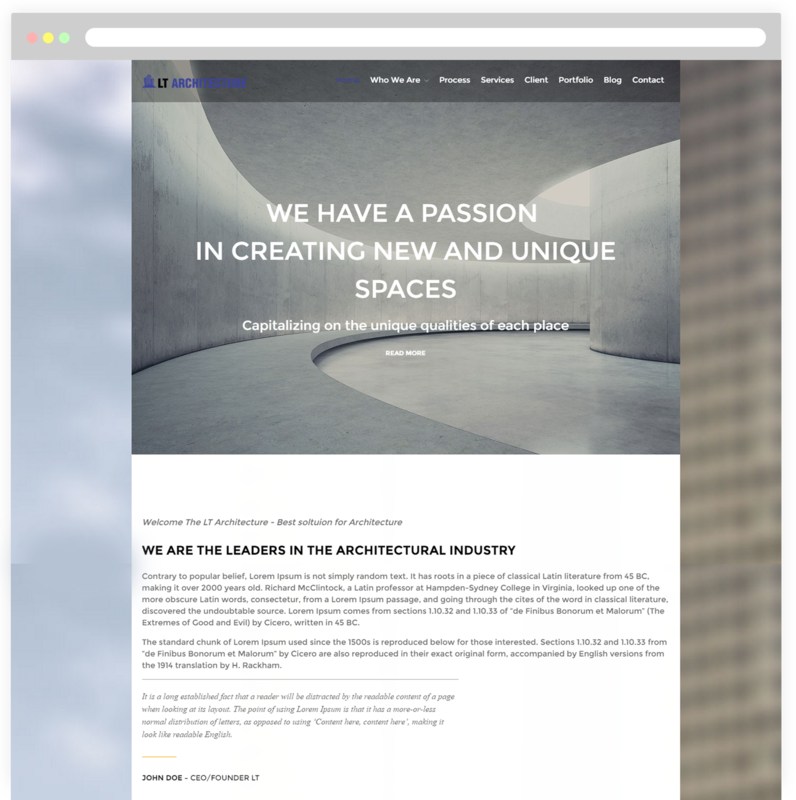 Setting up a clean and elegant design for architect-related business website with Architecture WordPress theme! 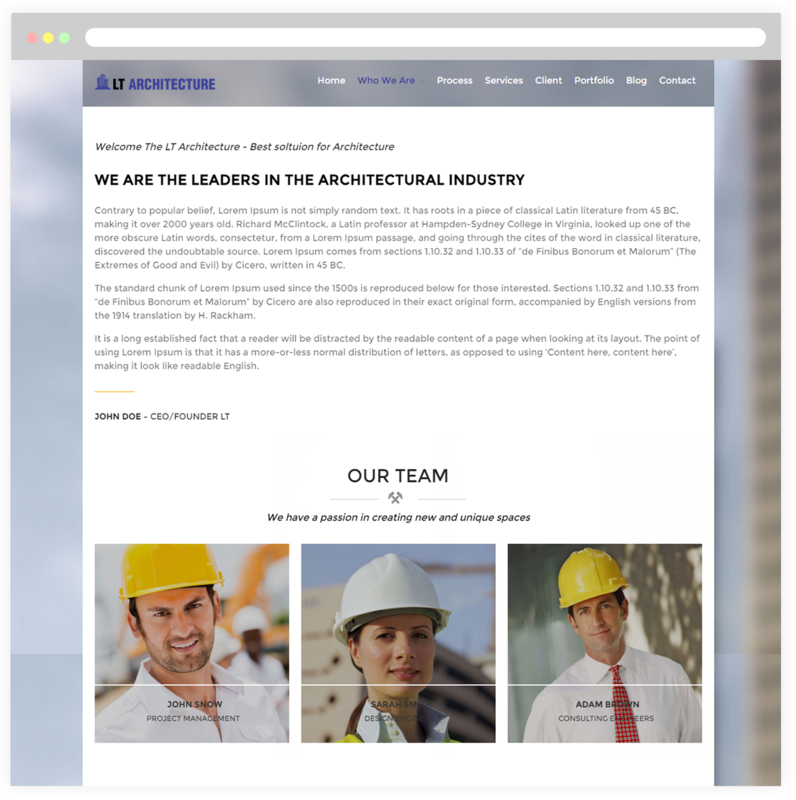 LT Architecture is a WordPress theme designed with premium design, it is specially nice for modern architect, civil engineer relating business websites. 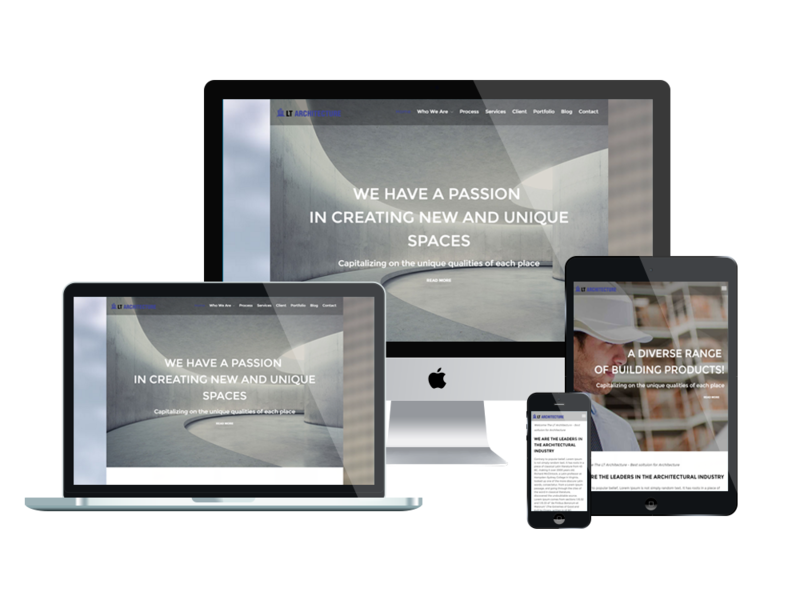 This theme is built to bring your site a clean and elegant design with light colors, and everything has been set up for giving you an idea to showcase the best projects to potential future customers. 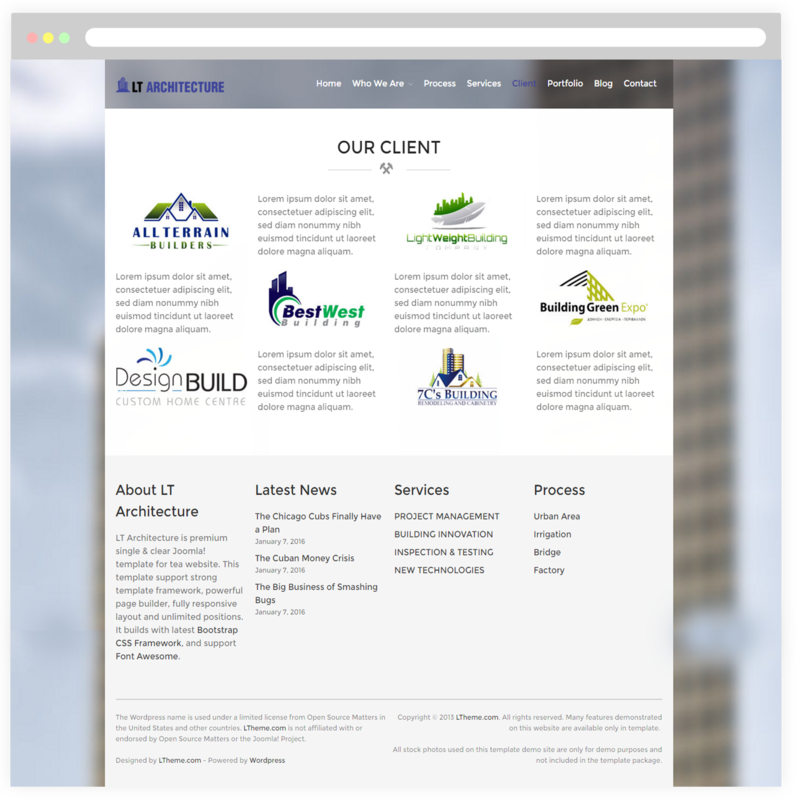 Displaying content well on mobile devices is also plays an important role to make first impression to customers, that is reason why LT Architecture offers you a fully responsive layout for any kind of mobile device. 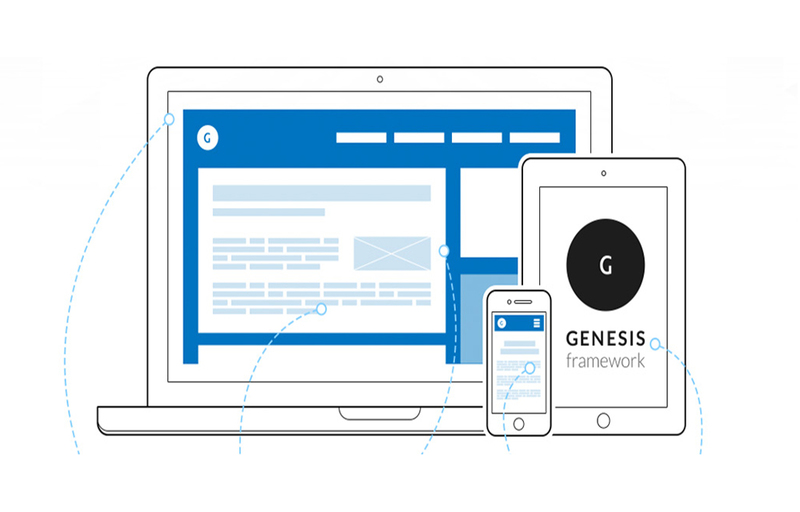 Bootstrap CSS, Genesis framework and drag-drop layout content, unlimited color and a color picker in the admin panel are also integrated to provide you the best convenience in developing your website. 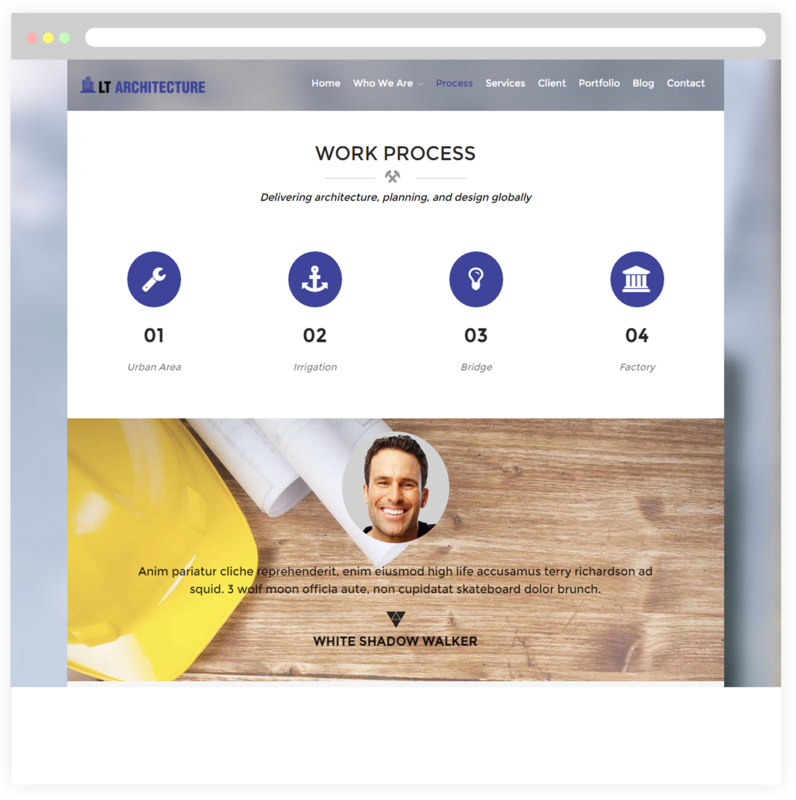 Choosing this trendy and user-friendly architect theme, you can present all services of the company in an engaging way and increase the number of your clients. Go and check the Live Demo now! This is a page dedicated to introduce information about your company. Besides, help you present your work team or staff management systems as well as the position of each employee in your company. In addition, this page also allows you to display the percentage of projects that your company invests like Urban Area, Bridge, Factory, Irrigation. 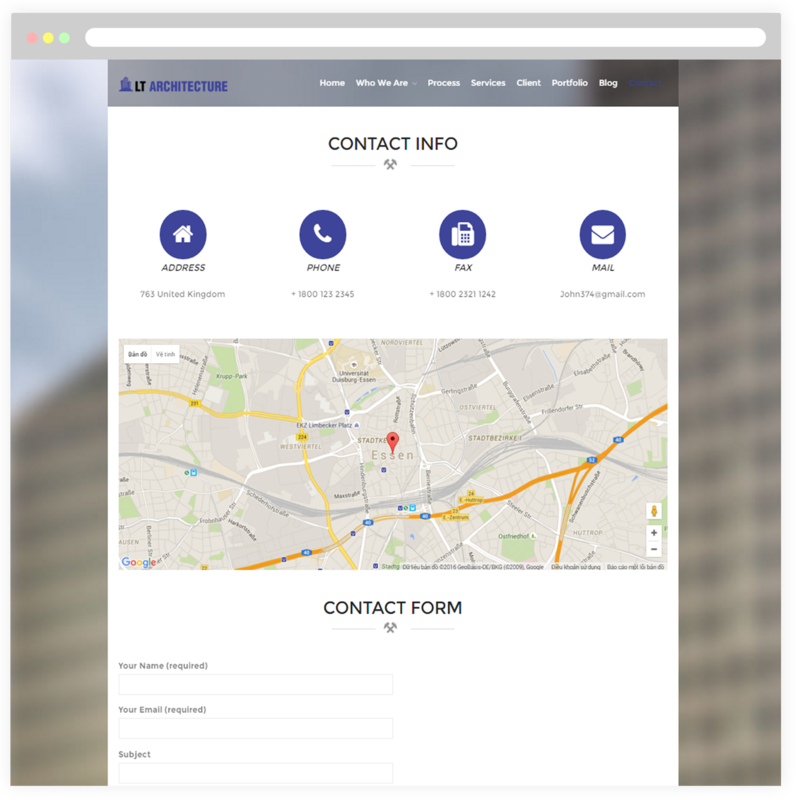 The process of your company’s work will be displayed clearly on this page. You can present that process to your customers through simple features of website. All the company’s services will be presented here. 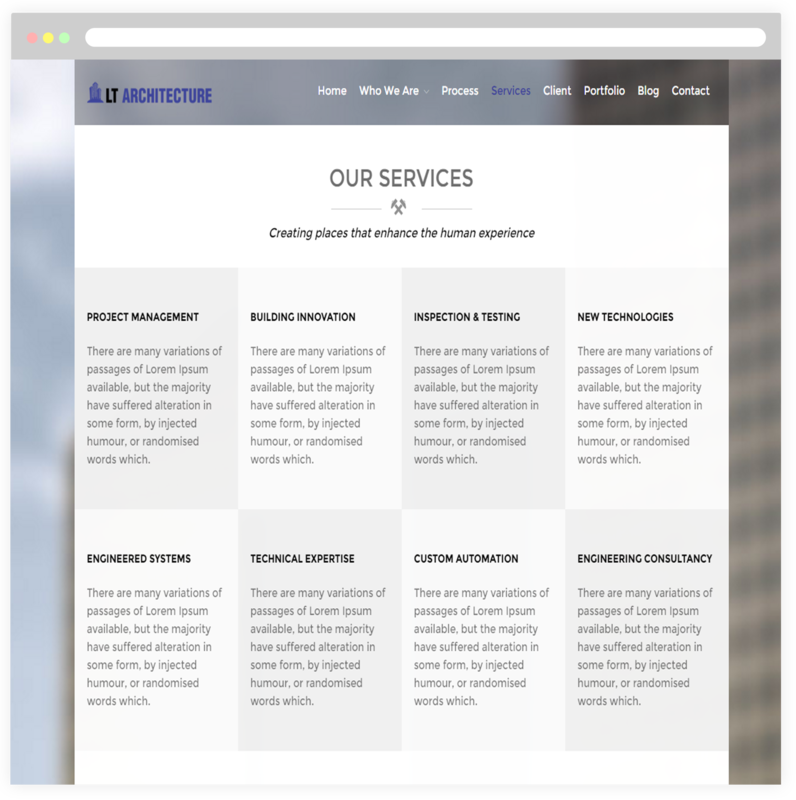 With different types of services that you would recommend to your customers, you can present each type of cell with different colors helping them easily refer. 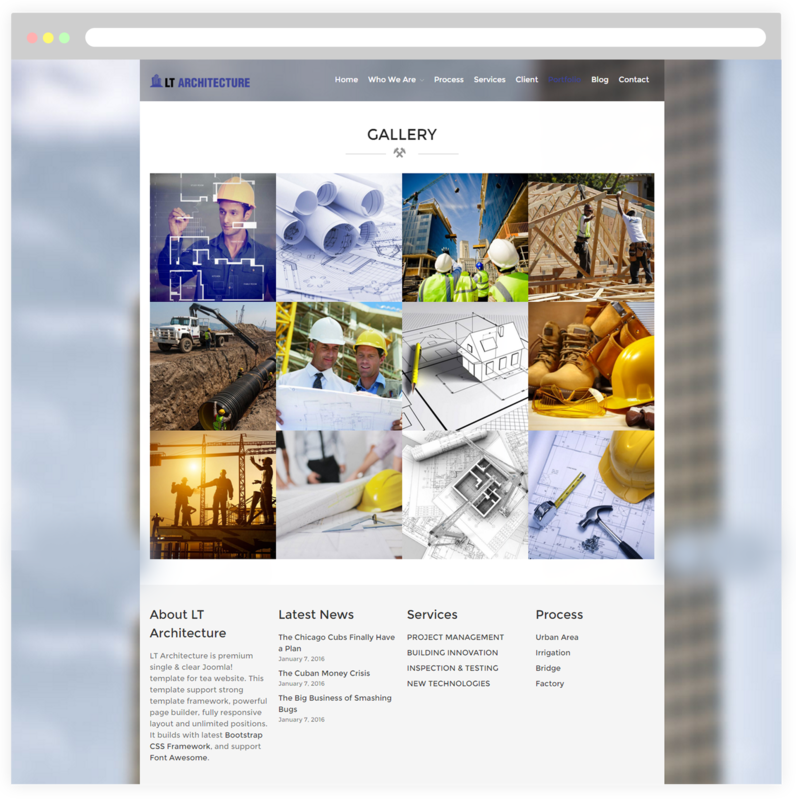 Showcase the construction works of your company for customers to visit and find out the construction structure of your company. 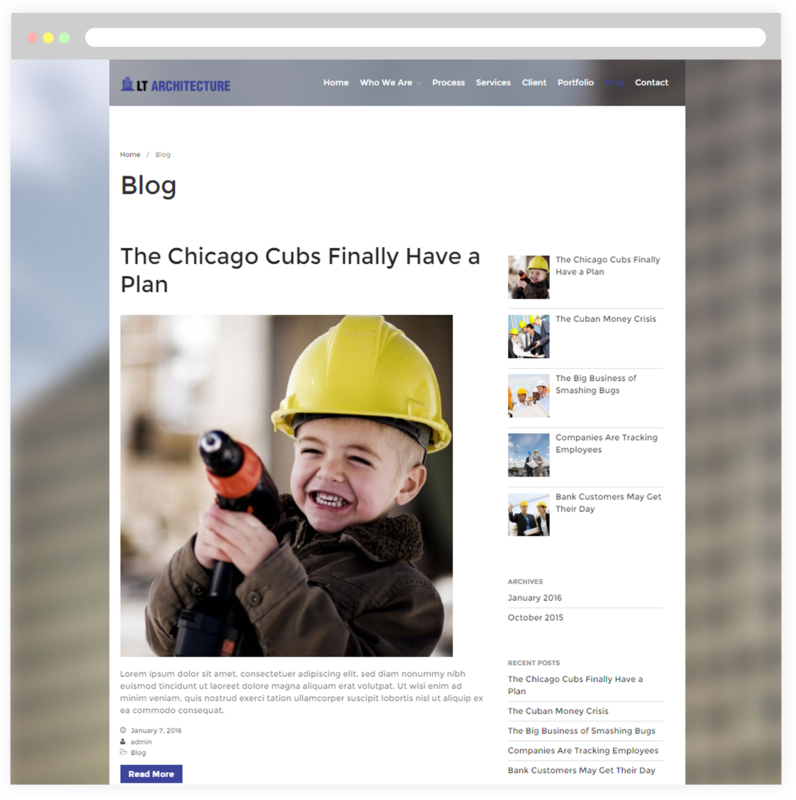 The latest news or trends of modern construction will be updated continuously through the posts created in this blog page. So customers easily approach them through social networks.